13 photos in database by this submitter. Comments: Arthur James Chappell (Nee: ) | possibly CT USA | | Comments: This was found in the papers of Emily Cordelia Burroughs of East Hartford, CT at the time of death. 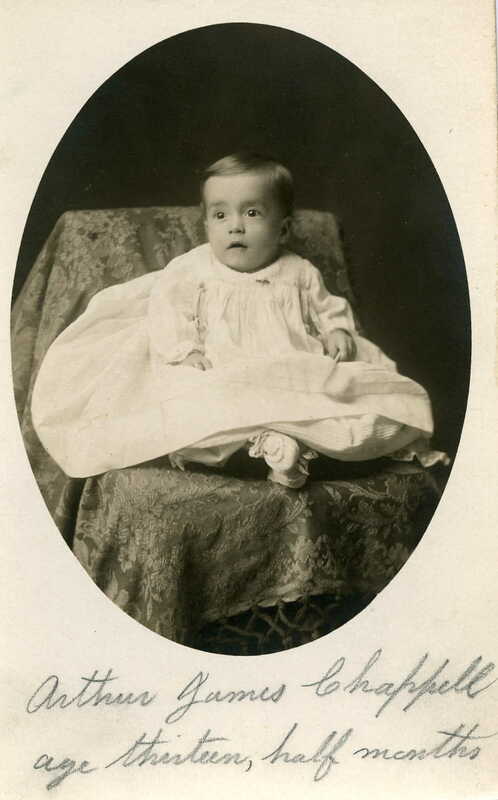 She was the d/o Charles and Maria (Martin) Burroughs and she was born 7/23/1889 in Grafton MA. Emily had several sisters ann I am not sure if this is related thru one of her sisters, though the Chappelle name is unfamiliar. I have dozens of photos of Emily and many of her sisters.